Mozart was a musical genius! Use the magic of Mozart to awaken the genius within. The tracks on each CD are selected and arranged specifically for their tempo and composition to boost brainpower and promote peak performance. Match the right music to your task at hand and revel in the magic of Mozart. Receive all 4 Mozart CDs in this series at a special discount. Buy 3, receive the 4th free. CMZCD • $45 Save $15! With wide variations in tempo and composition, these timeless Mozart classics inspire imagination, ingenuity, and inventiveness. This compilation of sweet and upbeat Mozart gems will arouse the senses, energize the mind and body, and promote peak performance. Skyrocket task completion with the help of lively and quick Amadeus jewels. Calm and focus the mind. 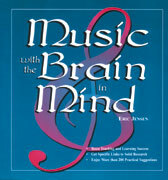 Promote deep and focused thinking using smooth and nondistracting Mozart masterpieces. Regular price $90. Combo price $72 • CMMS Save $18! Spin the smash hits from the '50s by legendary artists including: Elvis, Little Richard, Chuck Berry, Fats Domino, Jerry Lee Lewis. You and your audience will love this compilation of your favorite tracks from the decade including: Tutti Frutti, Yakety Yak, Shake Rattle and Roll, and Hound Dog. All 3 CD set CFM • $35 Save $10! Shake it up baby! Play the most energizing top hits from the 60's to motivate any group. You'll find all your favorites including: The Twist, Louie Louie, Shakin' All Over, and Wooly Bully. All music is by the original artists. Kagan has compiled 33 of the best tunes from this era, guaranteed to raise your classroom or training roof! All 3 CD set. CEM • $35 Save $10!